Hope City is a house of prayer and community center that seeks to bring social justice to the inner city of Kansas City through 22/5 prayer and missions. From the place of prayer a Community Center feeds the hungry, a Training Program helps the addicts, a Youth Program is provided for at-risk kids, and Internships equip men and women to minister in the inner city. Hours to come for prayer. 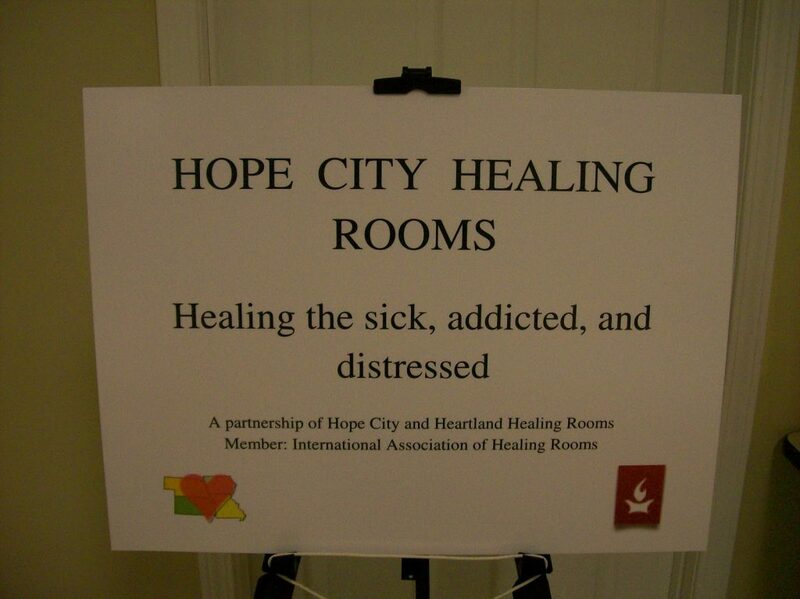 Several times a week Heartland Healing Rooms team members pray for the sick and needy who come to Hope City. We see miracles and breakthrough as we make room for the Holy Spirit to move in the lives of those who come. Jesus who is the King of Social Justice said in Luke 18, “that we are to cry out night and day for justice to come to the earth.” Hope City is located in one of Kansas City’s toughest neighborhoods known for high gang violence, murder, and poverty. Daily we are confronted with real life scenarios where those who have been marginalized by society are forced into desperate situations. We are given the opportunity to show the love of Jesus in word and deed and bring HOPE to the city. We see the life changing power of God’s love and presence working everyday.